On a Saturday morning last October I entered a darkly lit Franciscan church. I sheepishly ushered myself into the confessional and began sharing my usual transgressions. But deep down I felt like I needed to confess something new: wrath. “Father, I just get so angry and frustrated when I see certain things online,” I admitted. The Franciscan priest smiled and asked me if I ever considered praying for my “enemies.” I had never thought of internet trolls and anonymous commenters as my enemies—probably because I rarely thought of them as flesh-and-blood persons, either. And I had definitely never thought to pray for them. Over the past year, the advice of that Franciscan and the example of three Francises—St. Francis of Assisi, St. Francis de Sales and Pope Francis—have inspired me to change my approach to online engagement. It is my hope that their guidance can help us as a Christian community to become more charitable and compassionate to those whom we encounter through our digital screens. I had never thought of internet trolls and anonymous commenters as my enemies. 1) St. Francis of Assisi teaches us peace. While most scholars agree that the “Prayer of St. Francis” was not actually written by St. Francis of Assisi himself, the prayer’s opening supplication, “Make me a channel of thy peace,” embodies the mission of this simple, poor saint. St. Francis exhorted his brothers in Christ to “neither quarrel nor dispute, nor judge others,” urging them to “be meek, peaceful, modest, gentle, and humble” (Rule of St. Francis of Assisi, III.5). In an era marked by religious violence and the Crusades, Francis bravely set out to meet the Muslim Sultan Malik Al-Kamil, whom he regarded as a brother with whom he was to share the “good news.” Francis of Assisi teaches us that this peace begins with simplicity and when we listen before speaking. Online, we will meet people with whom we fundamentally disagree. What is our mission as Christians in these encounters? Can we, like Francis of Assisi, place peace before politics and good will before judgment? 2) St. Francis de Sales teaches us sweetness (“douceur”). The church needs to stand as a prophetic witness of Christ’s peace and reconciliation. Online, we see many people and even entire websites dedicated to a defense of the Catholic faith. While this is certainly laudable, if our words are not coming from a place of douceur and gentle love, are we not, as St. Paul writes, just a “clanging cymbal” (1 Cor 13:1)? 3) Pope Francis teaches us encounter. Pope Francis has repeatedly expressed the need for Catholics to “encounter” the other. 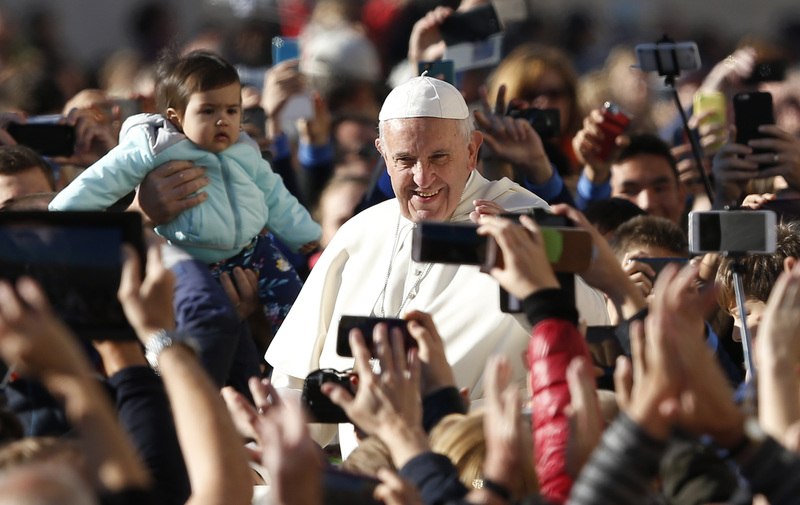 For Francis, encounter goes beyond mere discussion or even proselytization. In his first Pentecost homily as pope, Francis called us to “step outside” ourselves and allow the Spirit to proclaim life in Christ to those whom we encounter. This call to encounter challenges us to go outside of our comfort zones. Online, we see and know of many who are on the margins of society: the poor, disenfranchised and oppressed. But we also have the opportunity to interact with people on our personal margins—groups or individuals that we pre-judge, ignore or try to silence. Even amid serious disagreement, do we engage in digital jousting, tearing down our supposed enemy from behind a shield of anonymity, or can we see this “other” as a person loved by God? At a time when authentic dialogue on political matters is vanishingly rare in the United States, the church needs to stand as a prophetic witness of Christ’s peace and reconciliation. But before we can do so, we need to address the skeletons in our own digital closet. Snarkiness and invective language are not limited to political topics. Church teaching and sacred liturgy have become battlegrounds where Catholics fight to their own spiritual death in the comments section. It is my hope that these three Francises, two saints and a pope, and their examples of peace, sweetness and encounter can lead us to higher digital ground. John A. Monaco is a graduate student at Boston College School of Theology and Ministry.